Linda Long, who has been president or co-president for the last four years and involved in the WAA for 10 years, received many accolades for her work as President and then Co-President of the Whitewater Arts Alliance. Board member Christine Hayes commented on how much the board appreciated Linda’s hard work, enthusiastic support of the arts in Whitewater, and her can-do attitude. The Board also recognized both Mary Kenne and Marjorie Stoneman for their tireless work for the WAA. Mary has coordinated the docents and scheduling, while Marjorie has handled the group’s publicity. The Board also thanked Everett Long for his six years of service on the board. The WAA announced its public art project for 2019 as “Portal to the Past, Portal to the Future.” Artists will decorate plywood boards that will hang on the light posts in the downtown area during the summer. Artists can choose a person, place or thing of past significance to the history of Whitewater or a vision of what they see in the future for Whitewater. Sponsorships of the artwork again this year will make it possible for artists to participate without any cost to them. Local historian, Carol Cartwright, will be making a presentation on interesting facts and photos of Whitewater history to help spark the imagination of the artists. The plywood boards, along with the entry forms and instructions, are available now at the Whitewater Arts Alliance’s Cultural Art Center (CAC). 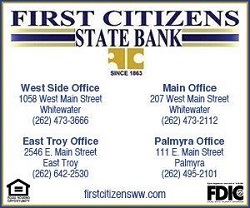 The CAC is at 402 W. Main Street. Gallery hours are Thursday through Sunday, noon to 5 p.m. Forms can also be downloaded online at the WAA website www.whitewaterarts.org. For more information, contact Linda Long at lcubed12@gmail.com or 262-473-5538 or Mary Nevicosi at marynevicosi@yahoo.com or 608-883-2000. 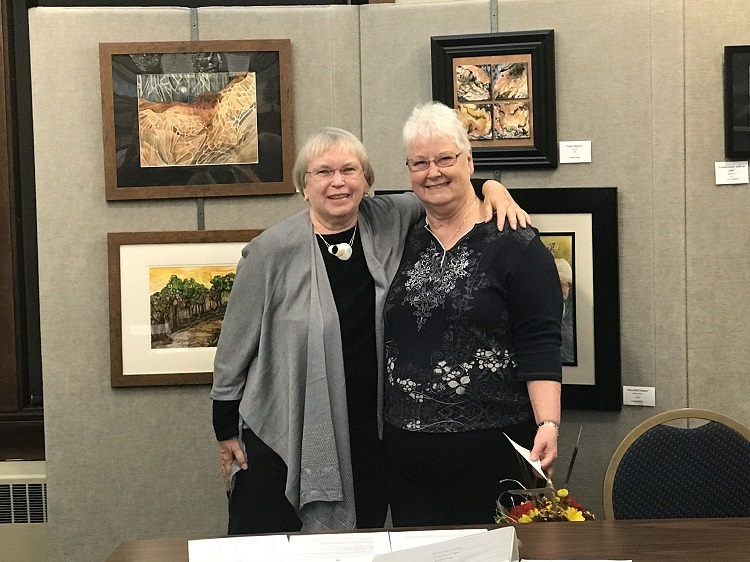 2018 at the Cultural Arts Center was a success, with a Quilt Show, a Portrait Exhibit, a Photography Invitational, the Whitewater Unified School District Art Exhibit with Lincoln Elementary School music students performing, the Wisconsin Regional Arts Program, the Fran Achen Photography Contest, Making Magic with Mixed Media, Artrageous Birds, “Transitions” by the Whitewater Circle of Artists, and the upcoming Whitewater Arts Alliance Members Show. Performances, demonstrations and other events included: five Savory Sounds concerts, one major watercolor workshop, three technique demonstrations, a photography workshop, a poetry reading, dedication of the mobile “Peace and Harmony” to Jim Coburn, and the Annual Public Art Project “Windows on Whitewater.” The Alliance has 165 members, a record for the group, with 1,650 visitors to the CAC so far this year and 650 volunteer hours recorded to date. 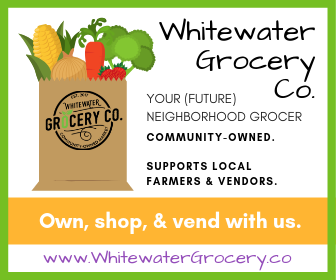 Also in 2018 Board Member Audra Lange reformatted and reconfigured the Whitewater Arts Alliance Website, www.whitewaterarts.org. 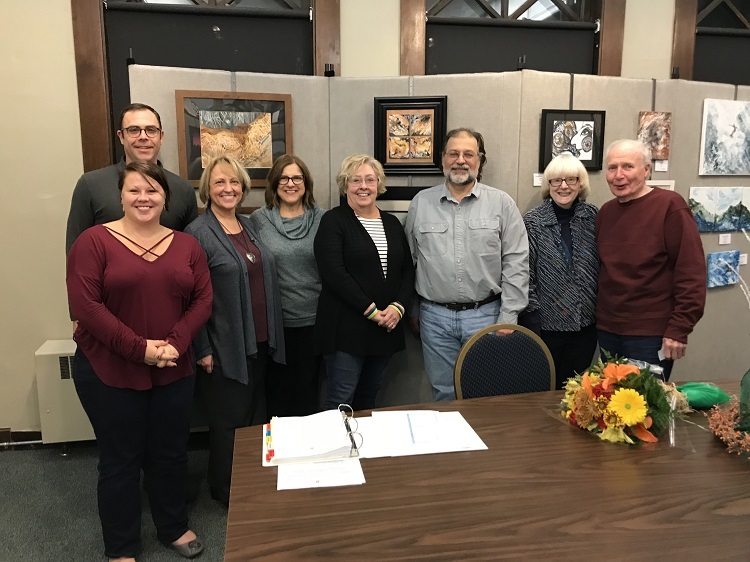 2019 promises to be very busy: January the CAC will again be closed for upkeep and maintenance; February features The Art of the Quilt; March features Janet Nelson’s art; April is about the Whitewater Unified School District art and music performances; Karolyn Alexander’s art will be the May focus; June will be the WRAP show; July will feature the 10th Annual Fran Achen Photography Contest; August will feature Mixed Media – Part 2; September will feature “The Road Less Traveled”; October will feature the Cambridge Artists Society Exhibit, and November-December features the Annual WAA Members Show. Savory Sounds is scheduled for June 13, 20, and 27 as well as July 11 and 18. The annual board meeting was started out with a piano performance by WHS Freshman, Sophie Walton. She also spoke of her involvement in music through her life.